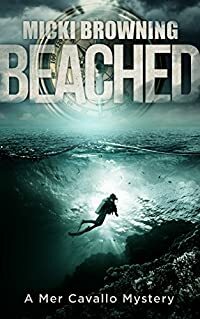 In this latest thrilling mystery from bestselling author Micki Browning, marine biologist Meredith Cavallo uncovers clues to a mysterious Spanish galleon—and quickly discovers the ship may be legendary, but the danger surrounding it is real. Mer’s life unravels after she finds a plastic-wrapped bundle floating on the waves off Key Largo. Curious, she pulls it aboard her dive boat and lands in the middle of a storm of intrigue involving an obscure legend, an 18th century shipwreck and a modern pirate who’ll resort to murder to claim the booty first. Thrust into the hunt for a ship with no historical record, Mer plunges into the world of nautical archaeology. But for a woman accustomed to dealing with facts, deciphering secrets proves difficult—and everyone she encounters harbors their own skeletons. A sinister betrayal sends her reeling, and even with the help of a crusty former marine salvager, a fiery professor, and her friends on the island, Mer's in over her head. Determined to outwit the man who wants her dead, she’s certain of only one thing—treasure is trouble.